Me and Ande Parks (writer of the terrific UNION STATION and CAPOTE IN KANSAS) saw Springsteen and the E Street Band at the Sprint Center here in Kansas City last night. As big a Springsteen fan as I am (and I'm a big one, in case you didn't know) this was actually the first time I'd ever seen The Boss live. Why the hell did I wait so long? 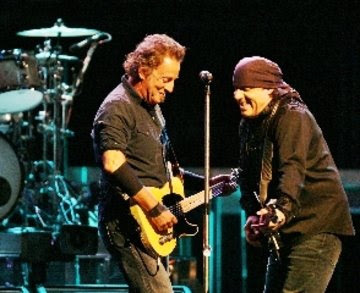 I got to hear some of my all-time favorite songs, like "Born to Run," "Tenth Avenue Freeze Out," "Youngstown" and "Candy's Room," as well as tour firsts like "Devils and Dust" and "Cynthia." Bruce played for over 3 hours and looked like he could've played for 3 more when he finally ducked back into the darkness with the crowd still roaring (no way is that man 60 years old). And eventhough there were about 20,000 people there, it was an incredibly intimate show, with Bruce shaking hands with pretty much the entire front rows and even crawling atop the crowd at a couple points. It was unquestionably one of the best shows I've ever seen and probably as close to a religious experience as I've ever come at a concert. 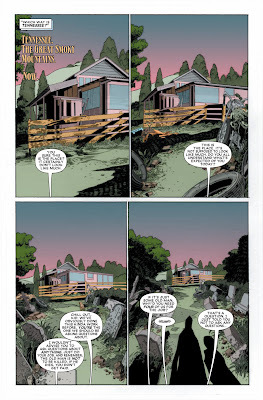 Definitely got inspiration for at least another 30 issues of SCALPED just being there. Thanks, Bruce. 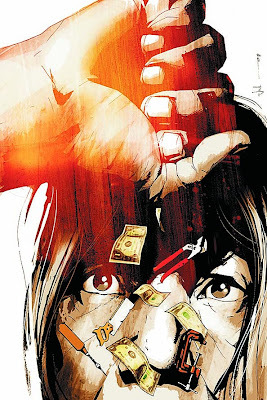 It's in stores today, along with SCALPED #20. Ask for them by name. 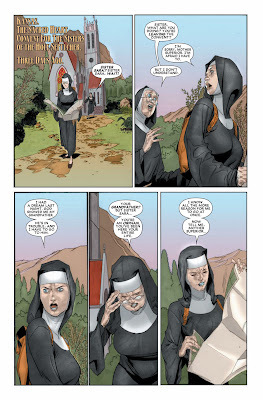 And also check out the first issue of G. Willow Wilson's excellent new Vertigo series, AIR. You won't regret it. “The Gravel in Your Guts” Part 3 of 4. Young Dino Poor Bear returns to the spotlight, while Chief Red Crow tries to pull himself out of the cycle of violence that his life has become. At the same time, Poor Bear finds himself just starting down that same dark road. This is it, Flamehead fans. The battle you've been waiting years for. 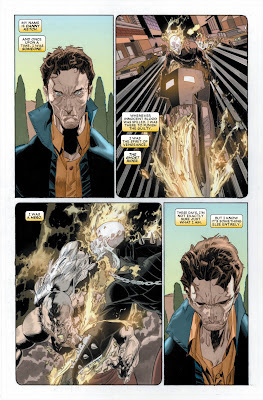 Johnny Blaze vs. Danny Ketch. Brother against brother. 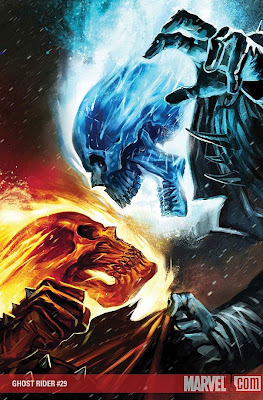 Ghost Rider against Ghost Rider. Talk about your epic showdowns. 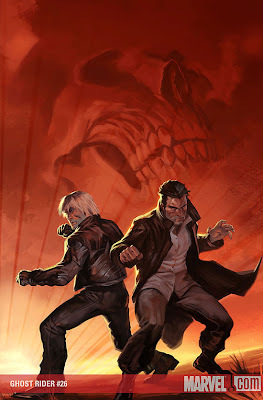 This is one for the ages, and it's still only part two of the exciting new arc, "Last Stand of the Spirits of Vengeance." Wolverine is back in Chinatown, settling old scores. First up, his vengeful ex-girlfriend. 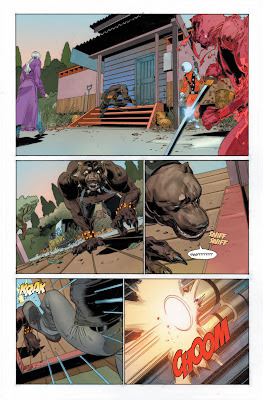 Only problem, she now commands an army of gun-toting thugs, along with four mystical Kung Fu warriors, who together put a beatdown on Wolvie the likes of which hasn’t been seen in years. 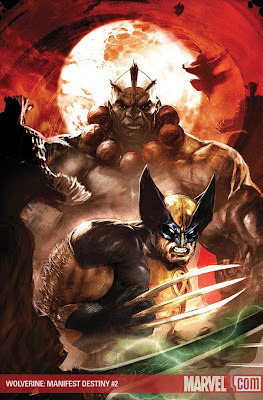 Now with Wolverine driven into hiding and the entire city out searching for him, who will dare come to his aid? 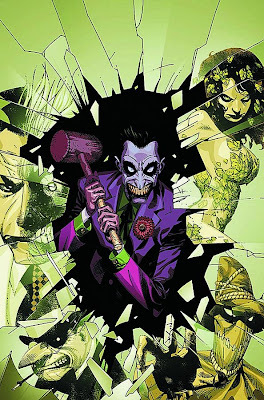 The Joker spins five dastardly tales of evil starring Batman’s rogues gallery in this volume collecting all five JOKER’S ASYLUM one-shots: JOKER, PENGUIN, TWO-FACE, SCARECROW and POISON IVY! 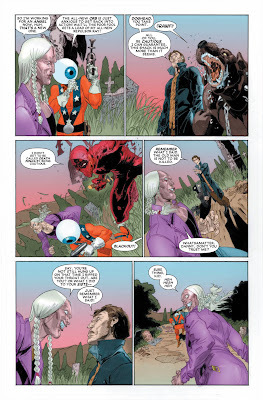 Writer Jason Aaron (WOLVERINE, Scalped) and artist Roland Boschi take Ghost Rider down a blazing new road! 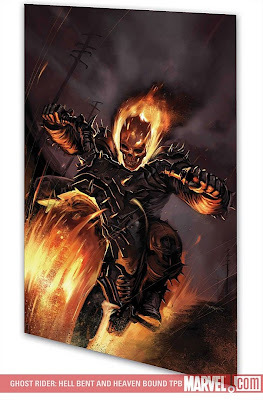 Through the years, Johnny Blaze has lost everything to the curse of the Ghost Rider — his family, his life, even his soul. 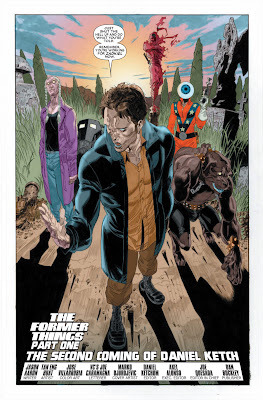 But now, at long last, Johnny finally knows who's responsible for turning him into a flame-headed horror-show on wheels, and he's hitting the road, looking for vengeance and answers — but mostly just vengeance. Collecting GHOST RIDER #20-25. 2 cons. 1 signing. 8 states. 2 flights. Over 2000 miles of driving. All in the last 3 weeks. Thanks to everybody who came out, but remind me not to do that again any time soon. I'm pooped. 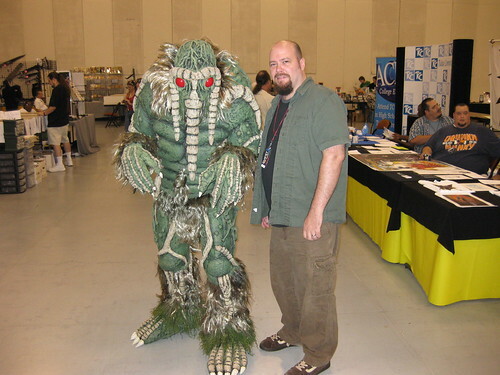 Me n' my Man-Thing, originally uploaded by Jason Aaron. I’ll be in Tulsa, Oklahoma this weekend at DefCon, selling copies of all my books and challenging random fans to bareknuckle boxing matches. Come say hi.